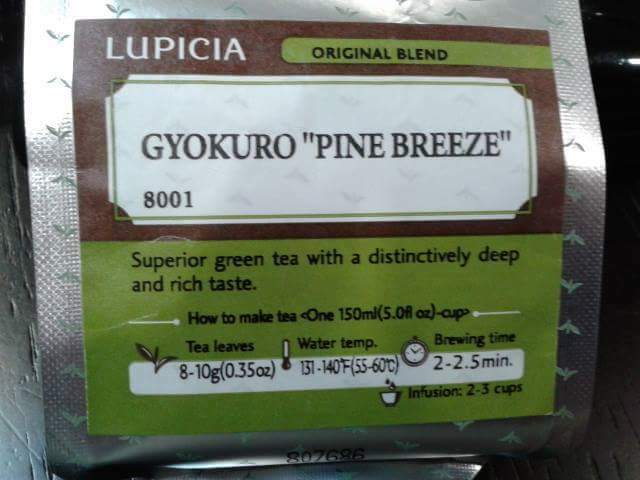 A friend of mine tried this tea. Gyokuro Pine Breeze is made by Lupicia. They’re Japanese company with retail outlets – or franchisees, I’m not sure which – in a number of countries. It tastes like a good ‘detox’ tea, especially if you take it strong. The flavour is slightly grassy, like fresh green tea sometimes is.